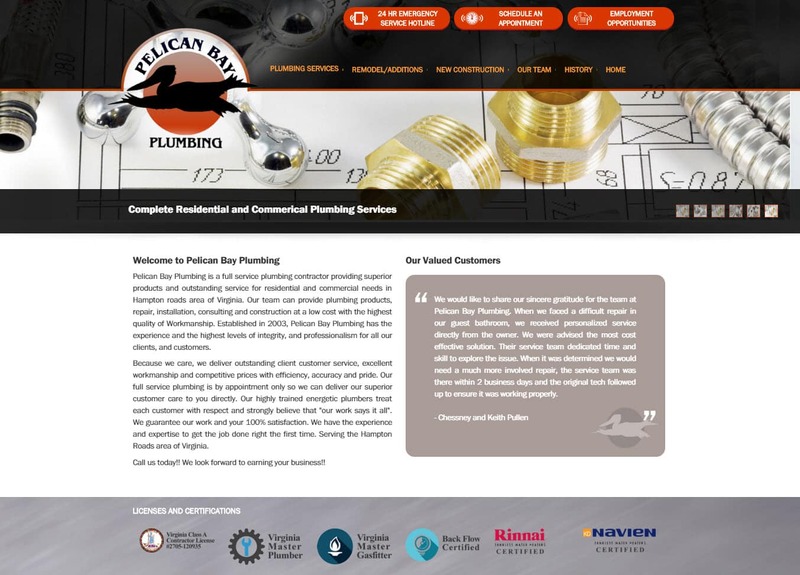 Website design for Plumbing Contractors | Pelican Bay Plumbing wanted a powerful website design that reflected its residential and commercial plumbing services. With the growth of mobile ‘voice’ searching for trade based services, VISIONEFX developed the website to be mobile responsive and display full screen desktop and laptop computers. Pelican Bay Plumbing has offices located in Virginia Beach, VA. When searching Website design company Virginia Beach look no further than VISIONEFX for all of your website projects.